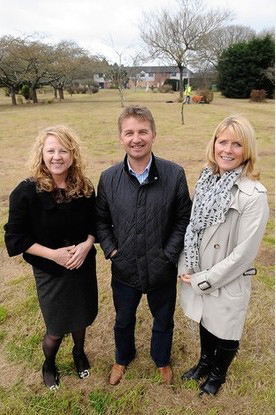 A PLYMOUTH couple who already run two dementia care homes in Mannamead are spending more than £2million buying and refurbishing a third in the same area. Philip and Tonya Gerry have bought the former Bedford Park home in Pearn Road. The 104-bed home was purpose-built on a 2.5-acre site 20 years ago, and formerly run by a large national group of care homes. But it closed more than three years ago and has been empty ever since. The landscaped parkland gardens have been restored to their former glory, and the couple aim to stage an open day for the home and a show flat on May 6. The home will open about a week later, with the flats available to rent in phases from late July or early August, the new company being titled Green Acres Care Centre Ltd. The Gerrys, both in their mid-40s, also run two other dementia care homes in Mannamead Road: the 44-bed Charlton House and the 36-bed Thorn Park, which together employ around 90 staff. Each home has its own manager and there is an overall group manager. Both are part-owned by Mrs Gerry's mother Gillian Boyes. Mrs Gerry said: "I have been in the care business since I was 18, initially working for my mum at Charlton House. "We bought into that business 18 years ago, and four years ago bought Thorn Park. "All three businesses are in Mannamead and within half a mile of each other. "Big is not always better, and I think a 104-bed home was too large. "But there is still a need for good-quality care, and we have a waiting list for our homes, which both hold the Dementia Quality Mark and the Six Steps Award." Mrs Gerry said there was also a need in Plymouth for assisted-living flats, and having them on the same site meant that if residents later needed to go into the care home, they would already be familiar with the environment, the staff and the management. She added: "When a home gets too big, you lose something; we like to keep things small and manageable. "We are in the businesses every day and know every resident and member of staff by name." Mr Gerry said: "This all fits with Government policy to keep people living independently as long as possible."